You may have a scenario where users might need to authenticate to different authentication servers (LDAP Domain Controllers) based on their domain. This article describes how to add a drop-down menu with domain names on the logon page for NetScaler Gateway version 11, and have the NetScaler send the authentication request to the appropriate server. 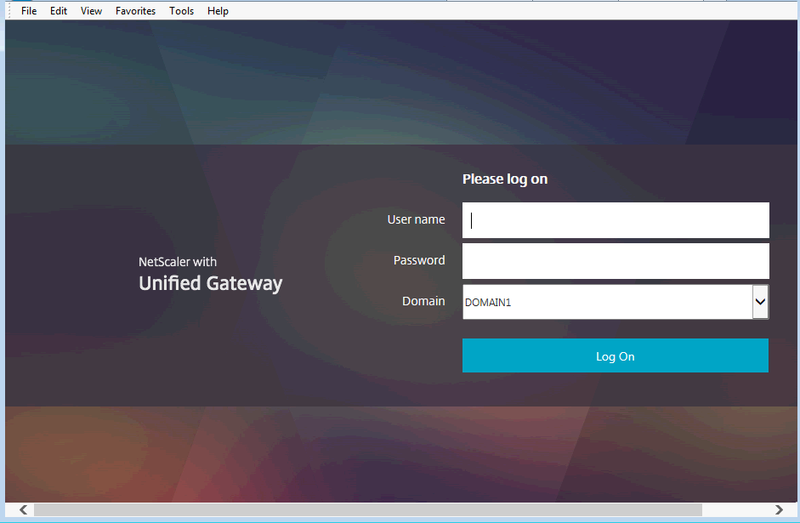 While Citrix Support Article CTX118657 describes a procedure to add domain names to the NetScaler logon page, the article is targeted for NetScaler firmware version 10.x, and will not work with version 11. 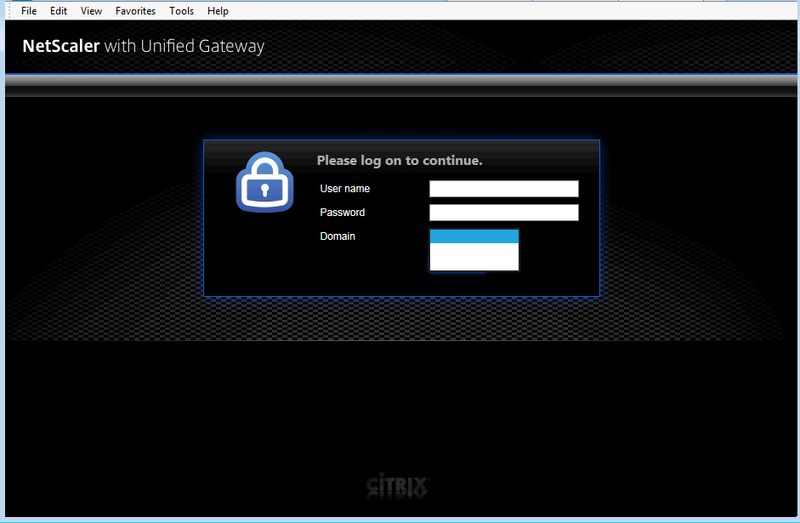 Citrix has actually added built-in support for a domain drop-down in version 11, but it is not quite fully functional. With a little bit of tweaking, however, it can be up and running in no time. Note: The following modifications are provided as-is, and are not officially supported by Citrix Tech Support. You may be asked to reverse these changes when calling in for support. In this post, we will deal with the first two sections. Please refer to the support article for the remaining two sections. Now fire up WinSCP and go to the directory /netscaler/ns_gui/vpn/js. You may notice that there are still two issues … while the drop-down is now being displayed (and there is an entry corresponding to each domain), all the entries are blank! The second issue is more of a cosmetic issue … the screen would look a lot better if the length of the drop-down was the same as the text boxes above it. However, we want to stretch the drop-down to match the length of the text boxes above. We can do that by adding cascading style sheet (CSS) overrides for the height and width of the drop-down. 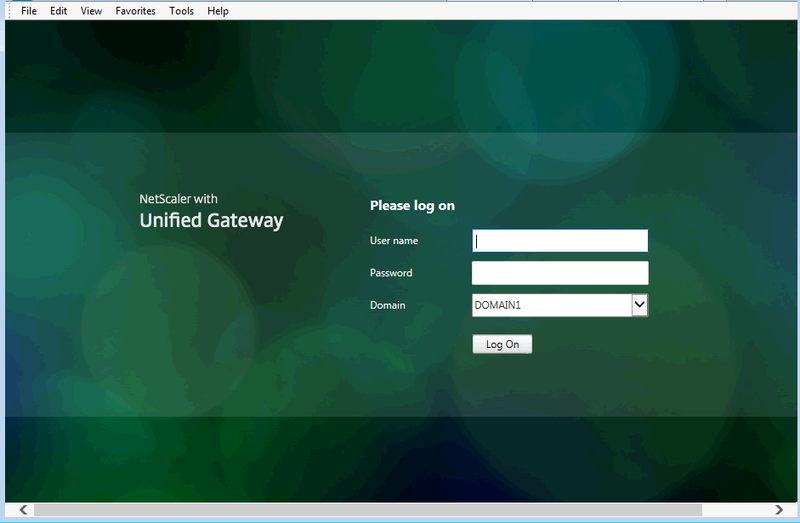 There are 3 built-in themes with NetScaler 11 – Default, Greenbubble, and X1, and the overrides are different for each theme. In WinSCP, browse to each theme directory, /var/netscaler/logon/themes/<theme>/css/, and create a file called custom.css. Insert the appropriate override values for each theme. Now that we’ve completed the drop down, let’s move on to the next section. Fire up WinSCP and make a backup of /netscaler/ns_gui/vpn/login.js. Save the file. Now go back to gateway_login_form_view.js (in the js directory). Add setDomainCookie(this); right before clean_name_cookie(); (you can optionally also correct the ‘margin’ typo!). This tells the NetScaler to save the user's domain selection before submitting the page. Now go back to CTX118657, and follow the last 2 sections to complete the modification.